Bostock Total Tree Services were contracted to fell a 150ft Lombardy Poplar in Bramhall Village, Cheshire. The tree was a known landmark within Bramhall but unfortunately had outgrown its location. It had also developed numerous weak unions over the public highway, close to buildings and other hazards. The tree was covered by a tree preservation order by Stockport Council which means it has to be inspected by the councils tree officer. It also meant that all work had to be carried out to British Standard 3998. As with any large tree removal, there was several weeks of planning and preparation. With such a large tree and it’s location on a main route into Bramhall, we had to incorporate traffic management and signage to ensure public safety. The large tree was section felled. This means that all the branches are removed to make way to lift the trunk out. With this project, a 50 tonne crane was needed for this part. The large trunk was section felled using the crane and loaded directly onto the awaiting timber truck to be taken away to be processed into firewood. We had great feedback from the local residents of Bramhall of how professional our tree service is and received great reviews on google regarding this tree removal. The full story will be featured in ‘Inside Bramhall’ magazine in the near future. Another satisfied customer of Bostock Total Tree Services, Stockport, Cheshire. 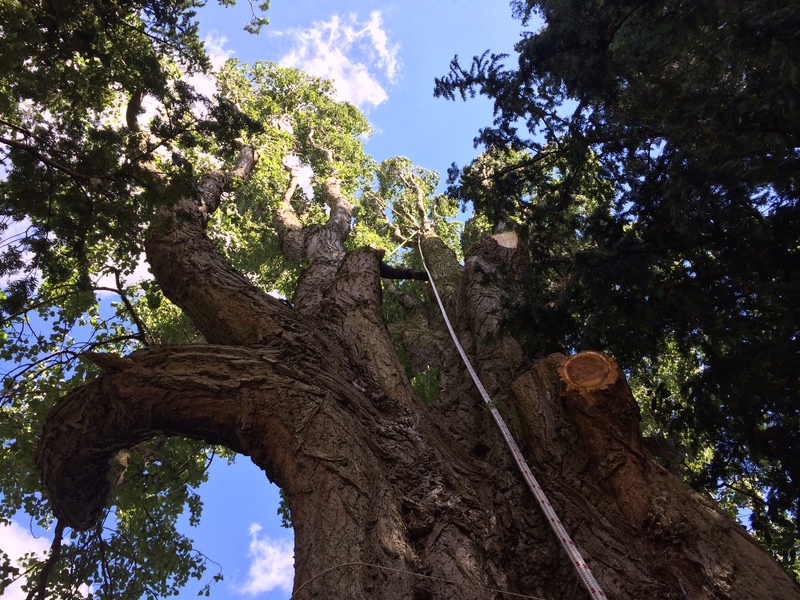 We work hard to ensure that every aspect of our tree surgery work is completed to the highest standards. Our work is completed in a way to earn your custom for life. We therefore approach everything in a friendly and professional manner. Safety within our work is very important so you can feel assured that you are dealing with an industry expert. Furthermore, if you would like to find out more about our tree services including tree removal, tree pruning, tree felling and other services for problem trees call today on 0161 483 7816.